Hello! My name is Christina Anderson and I am the Math instructor for the 3rd and 4th grades at the Galloway School. I have a B.S. in Environmental Science and I worked in a research lab before my teaching career. 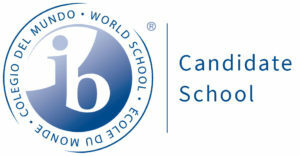 This is my 6th year at The Galloway School. I have always loved school and I absolutely love teaching. In my spare time I love to cook, read, take long road trips and spend time with my family. I am looking forward to a wonderful school year full of learning opportunities and academic growth. I believe that knowledge is power and I love seeing students achieve success and confidence in their abilities.